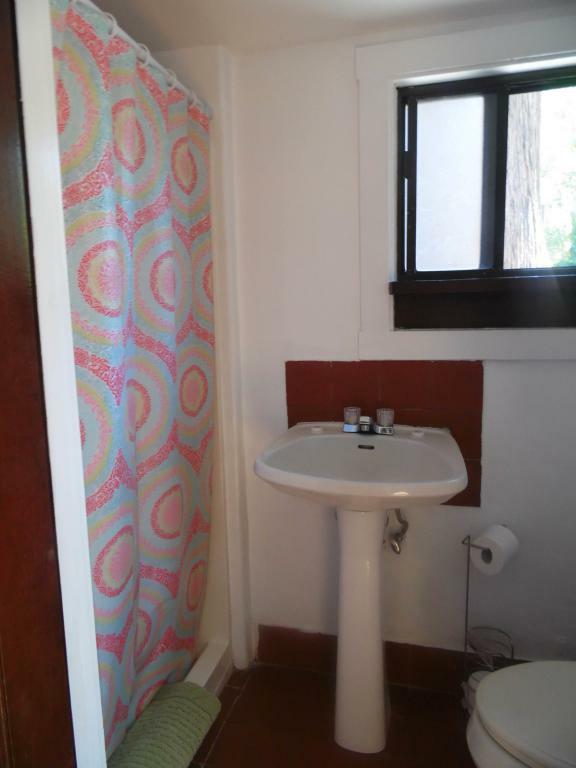 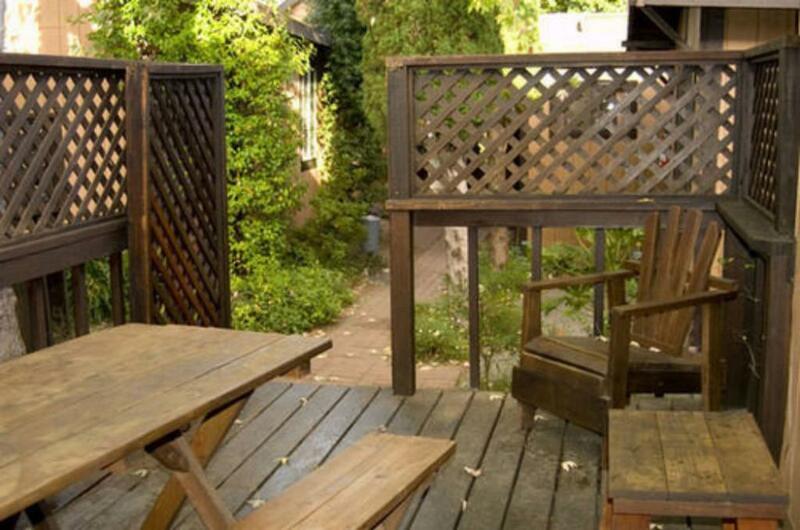 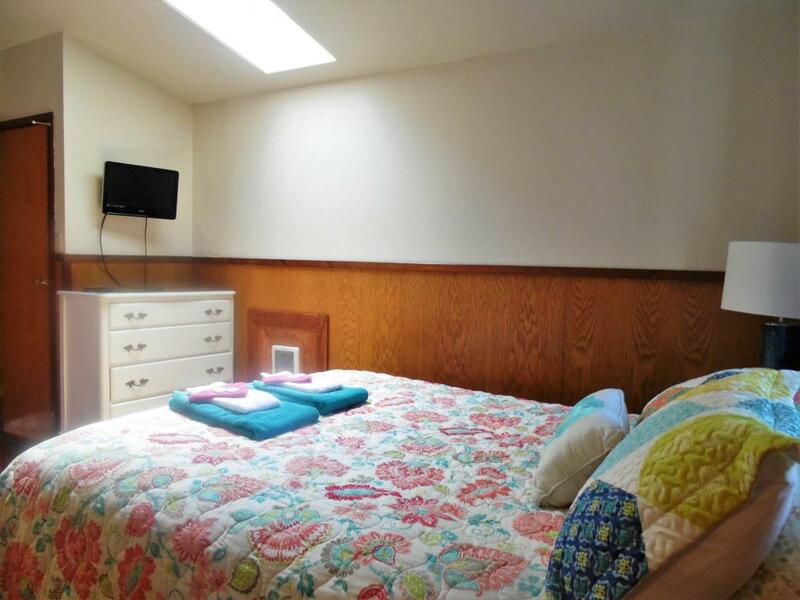 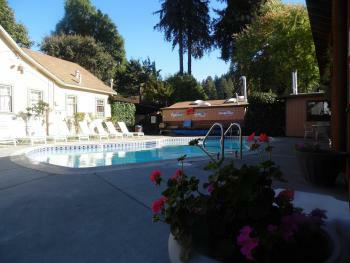 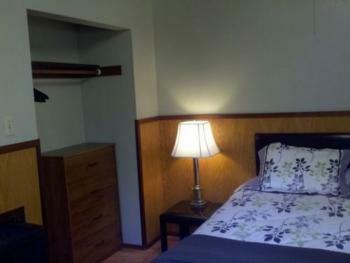 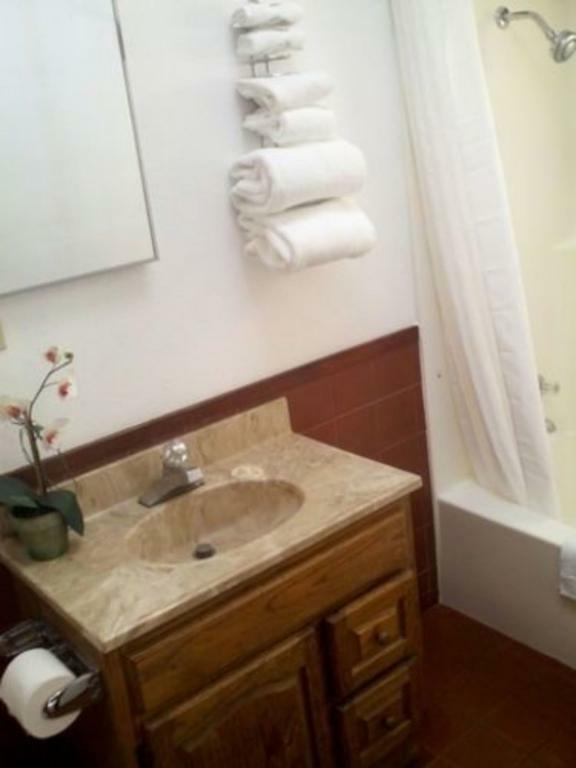 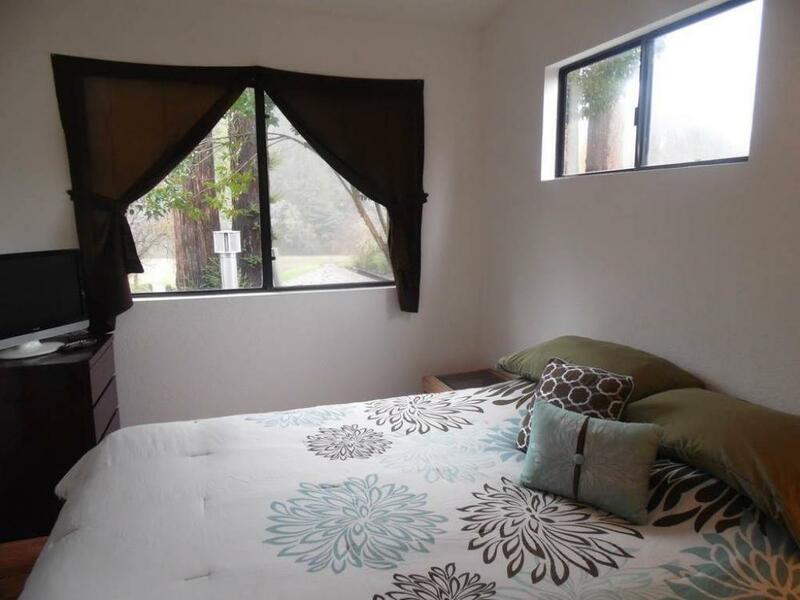 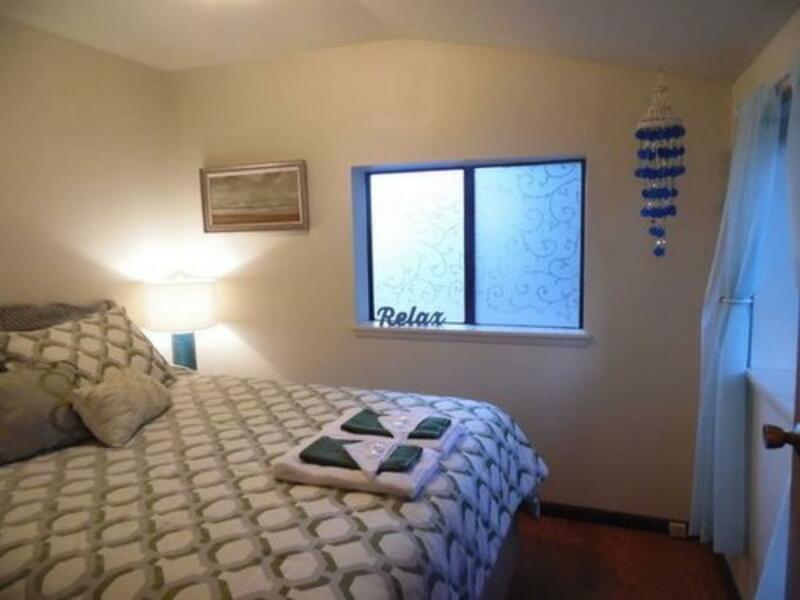 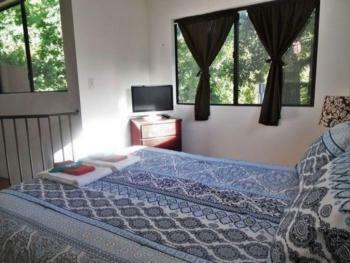 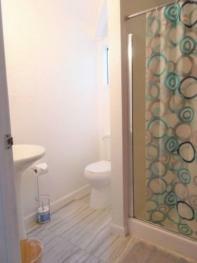 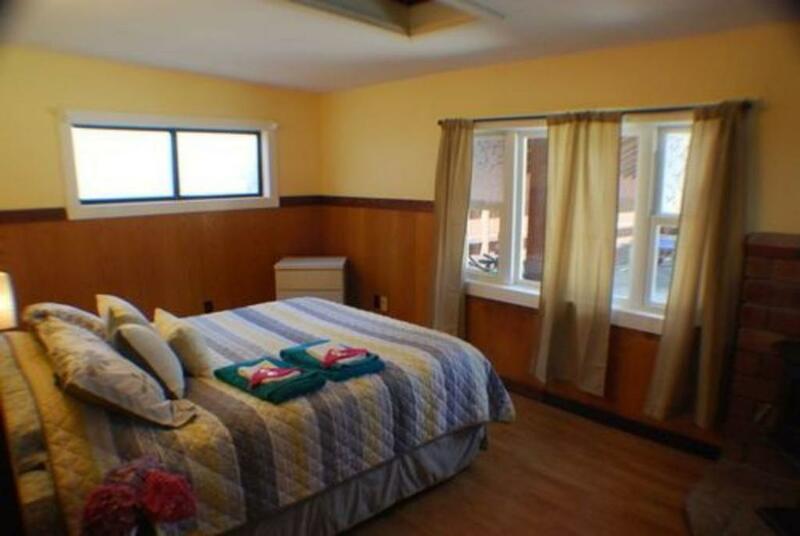 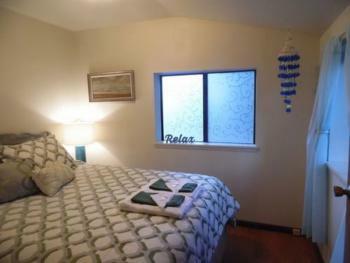 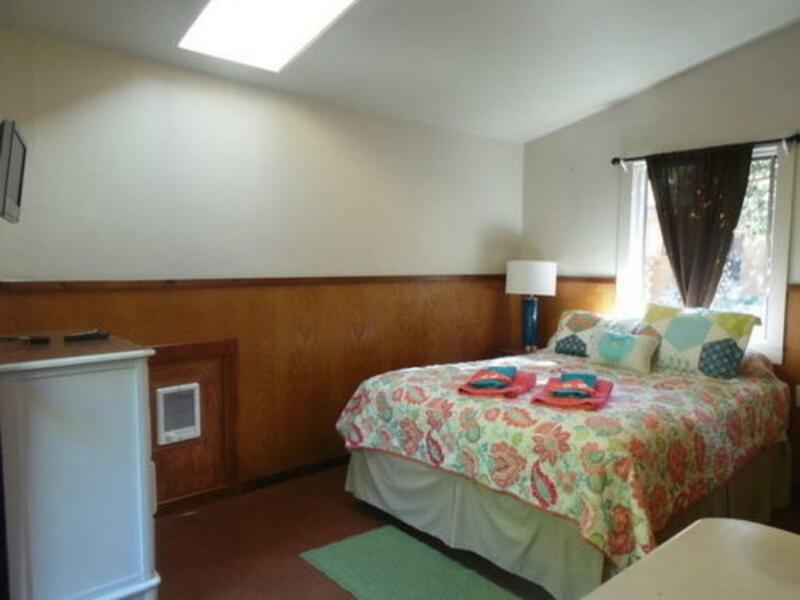 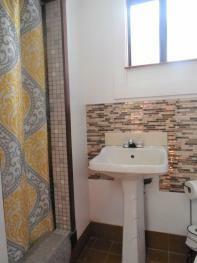 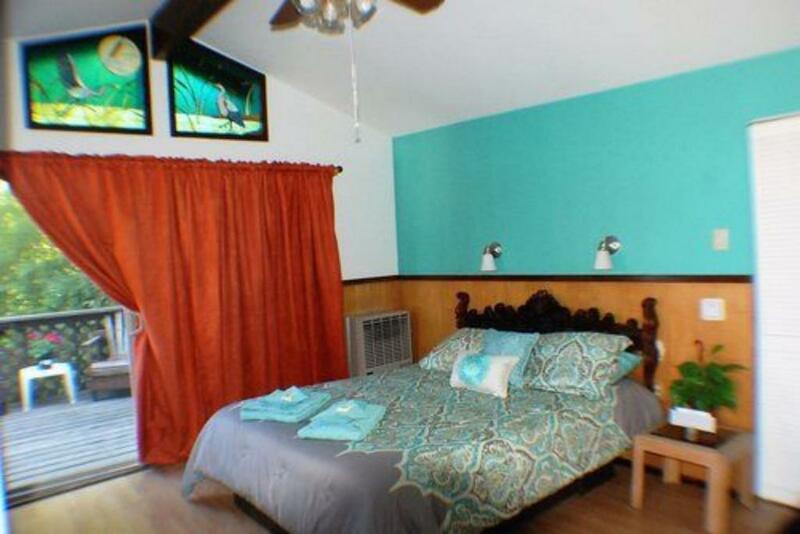 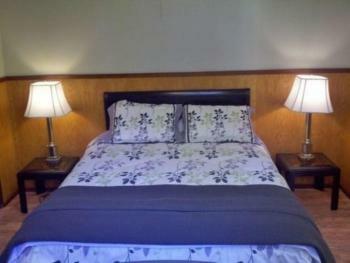 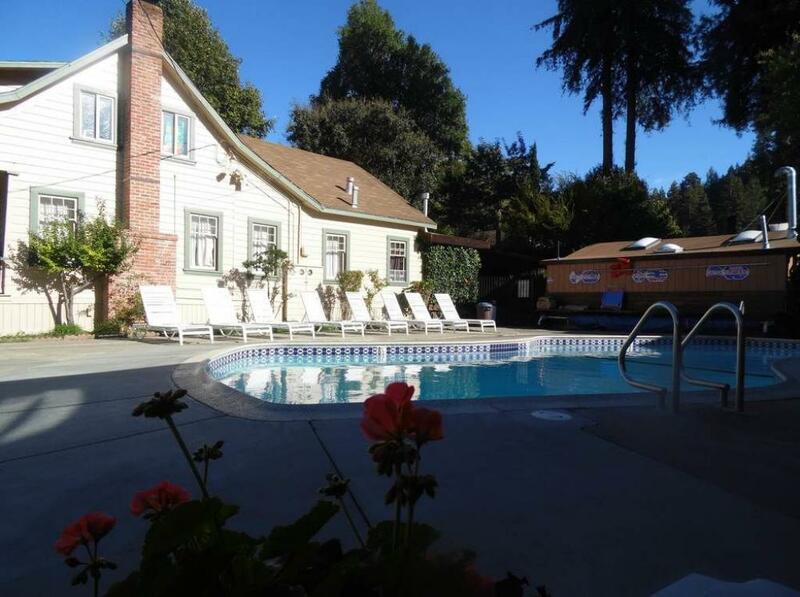 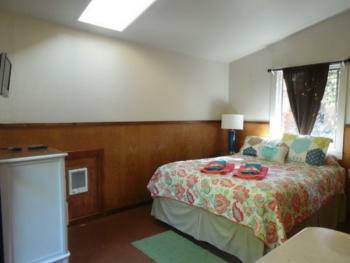 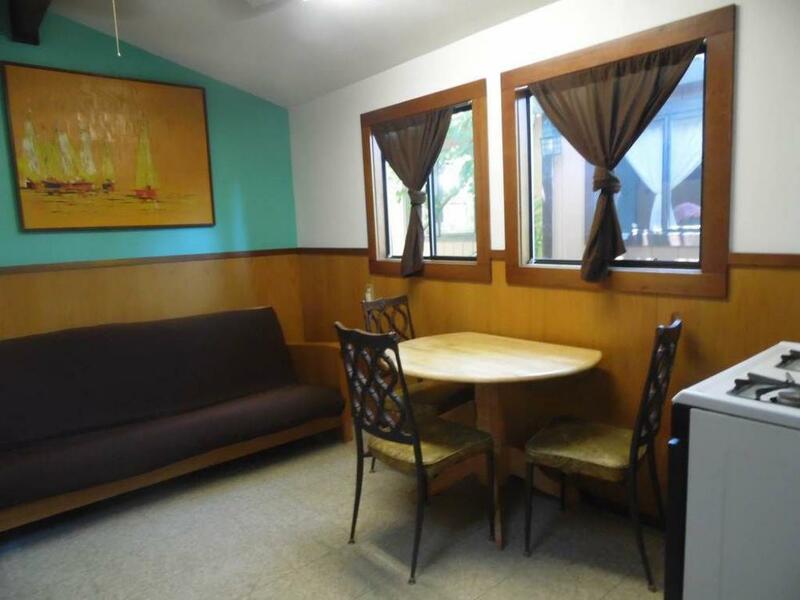 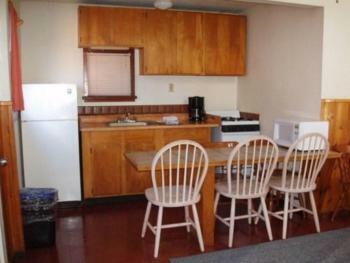 Our largest studio, features a queen bed, a kitchenette, just a short walk to patio and pool. 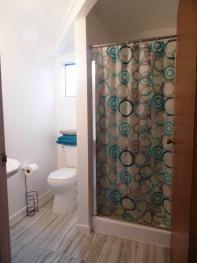 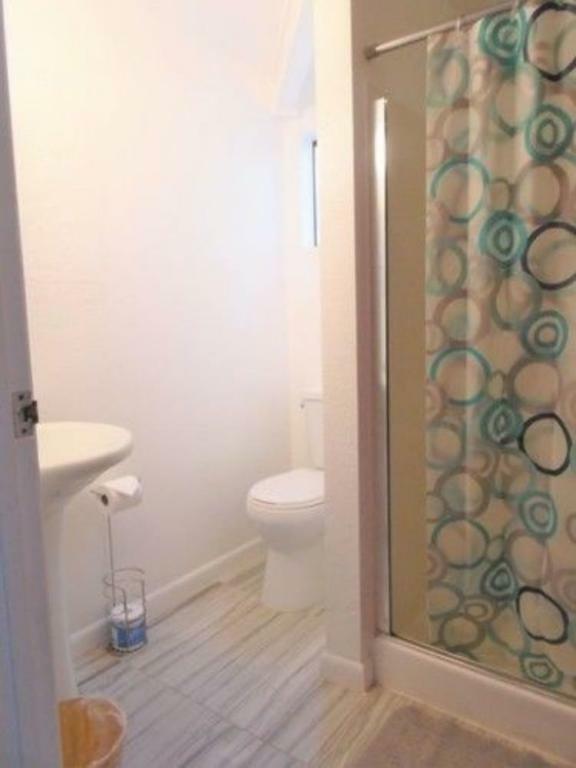 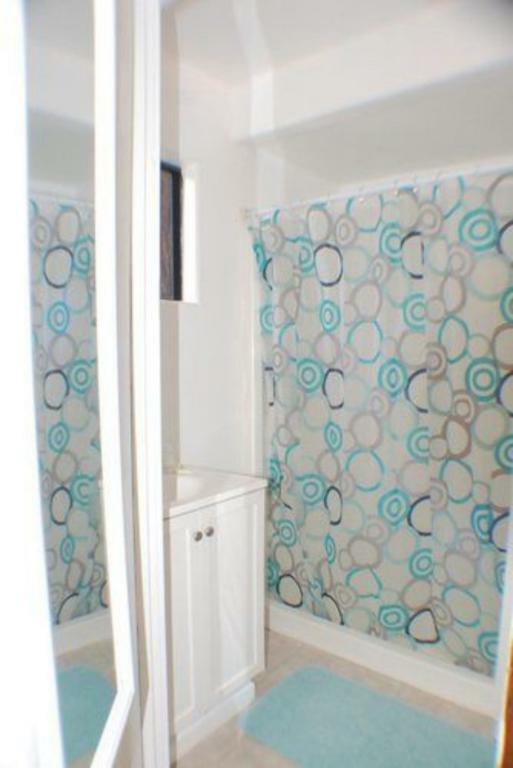 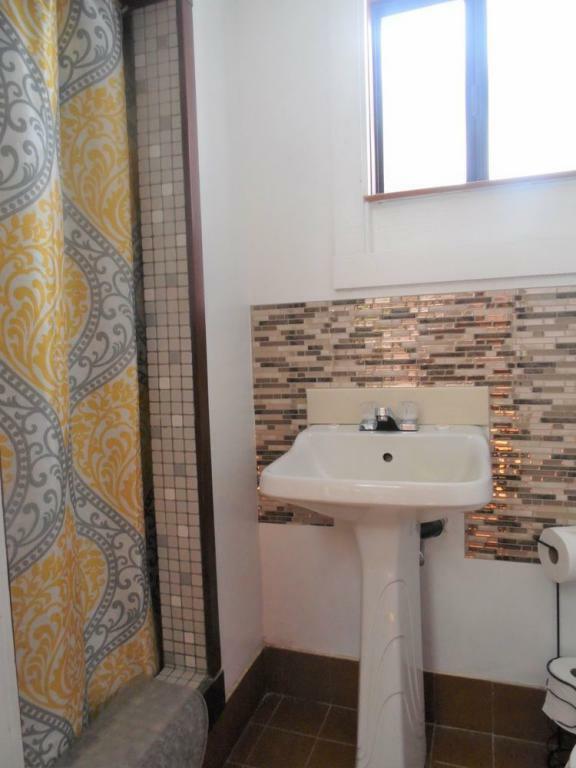 Cute, cozy, private. 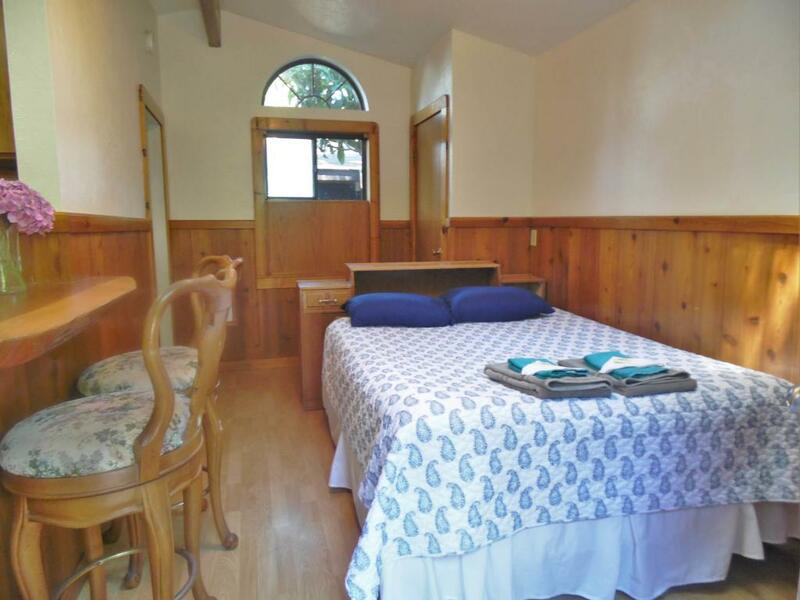 Our smallest cabin has a queen bed, a kitchenette, and sliding glass door opening onto a small deck with a fine river view. 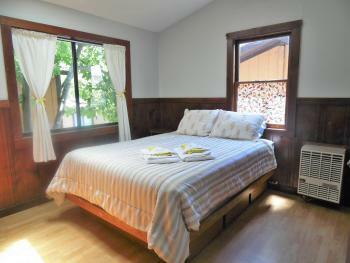 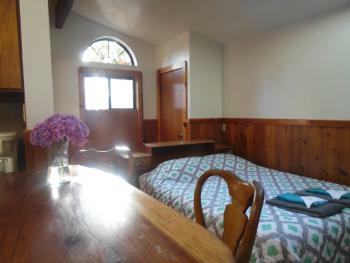 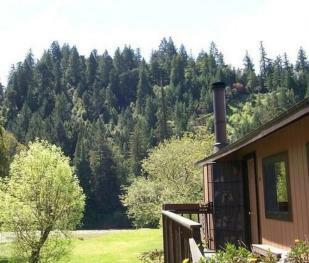 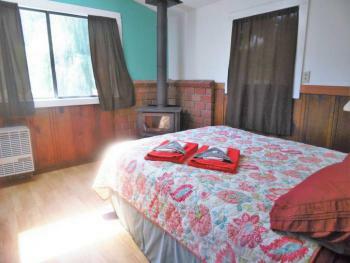 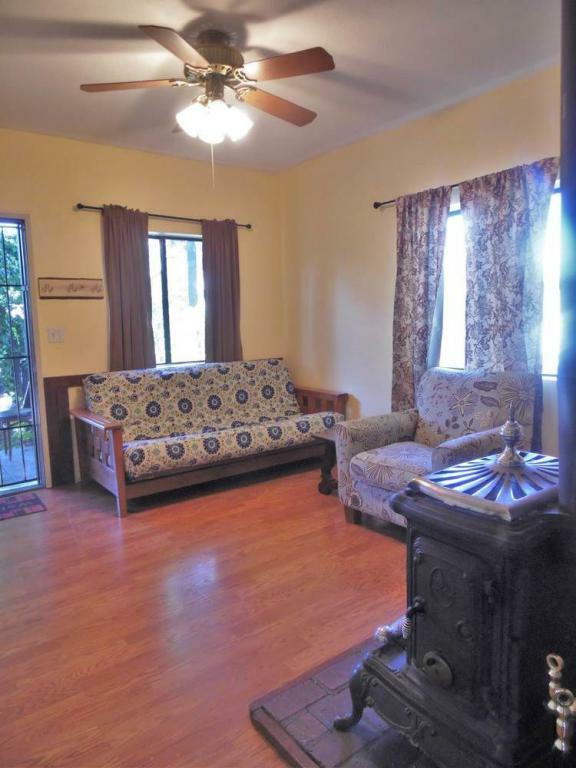 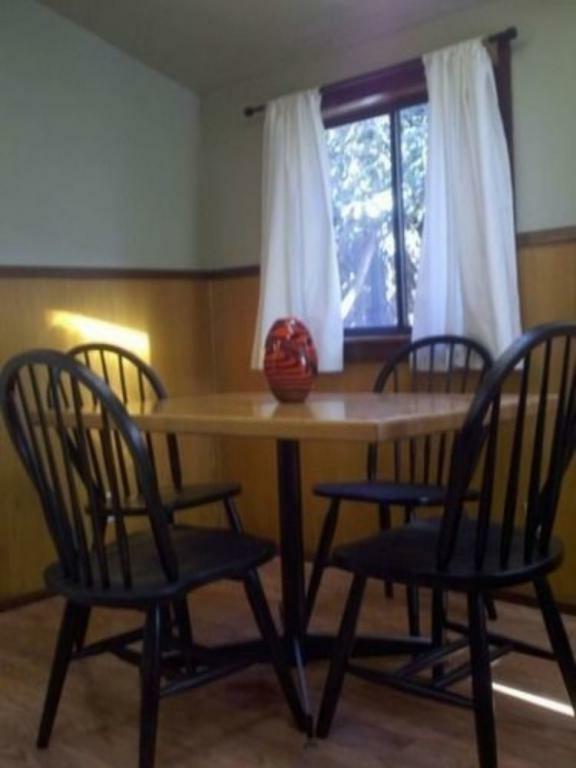 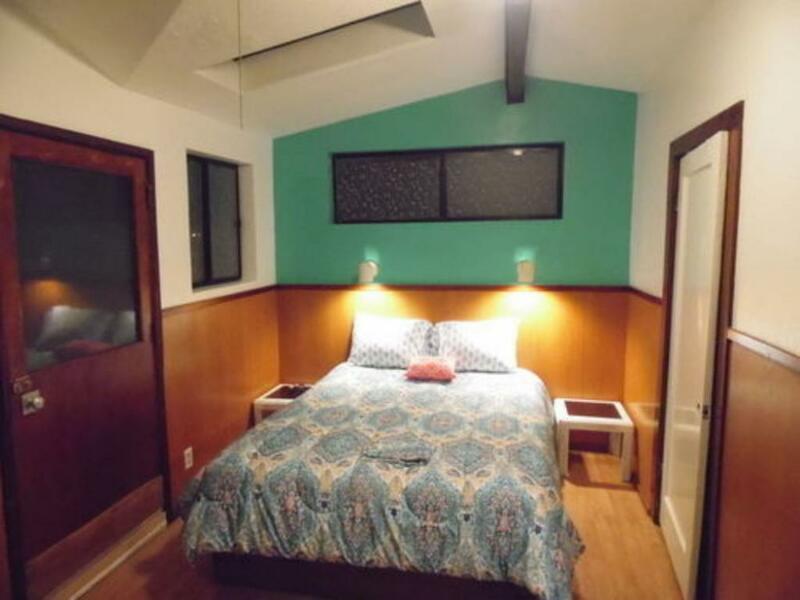 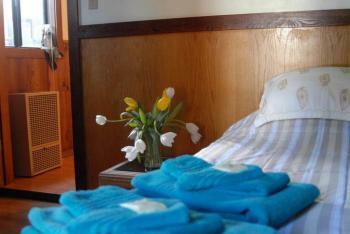 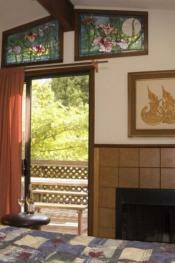 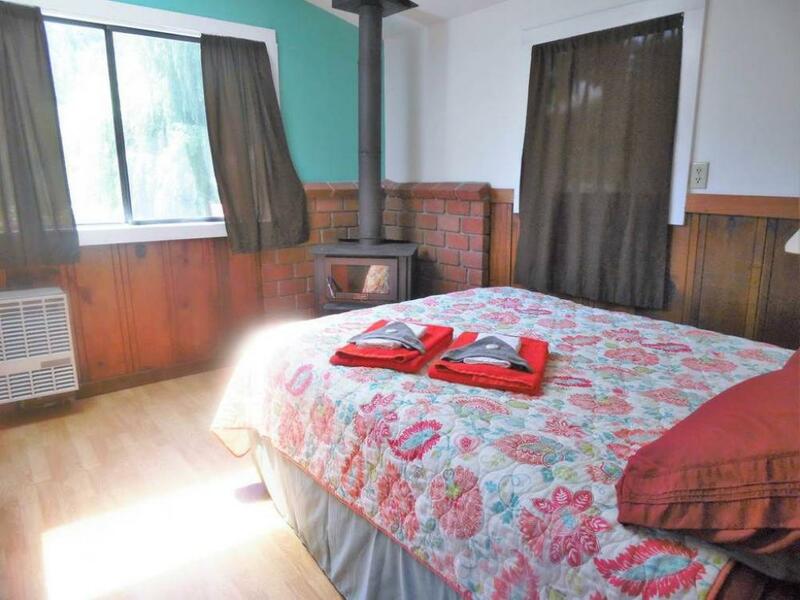 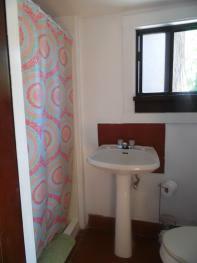 A two-room cabin with a queen bed; the bedroom features a picture window with a view of the river, and a woodstove; Double size futon in the living room/kitchen area. Our most popular cabin, cozy with a queen bed and fireplace in the bedroom, a sliding glass door opens onto the deck which looks back to the river. 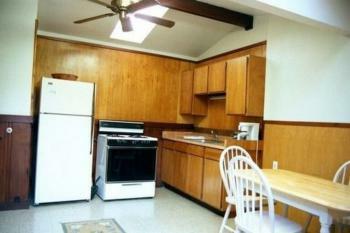 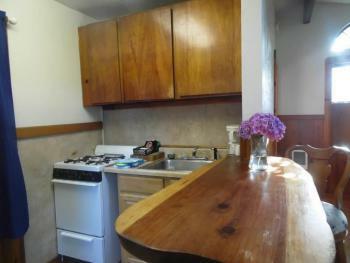 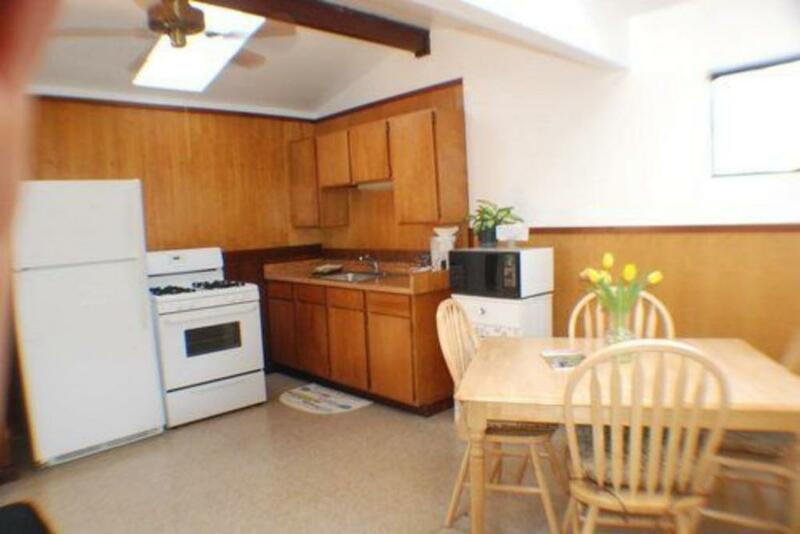 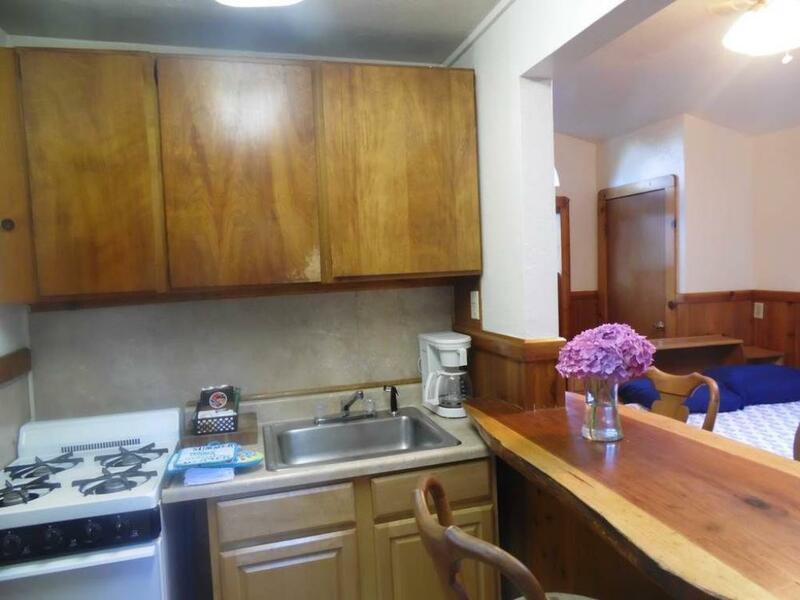 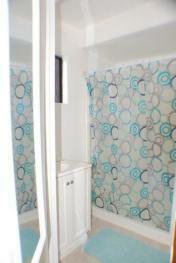 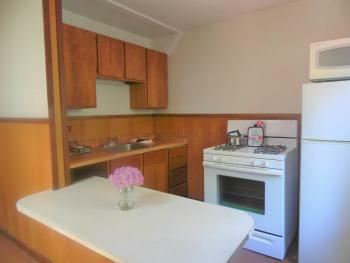 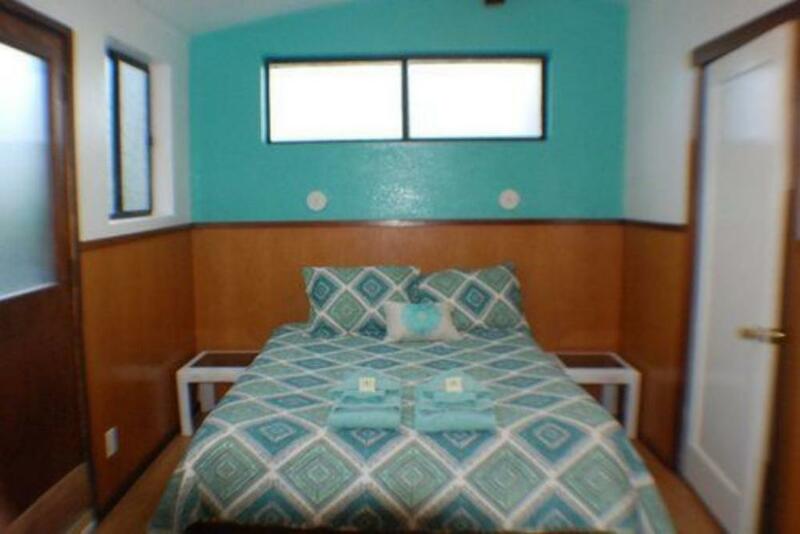 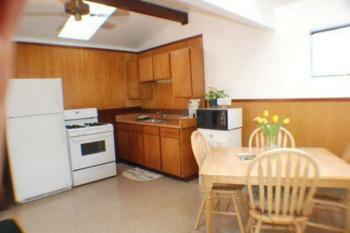 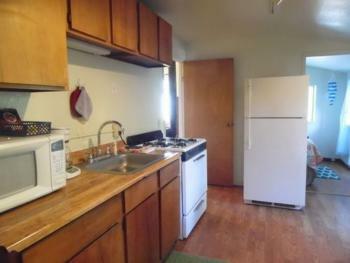 A double futon is in the compact but complete kitchen. This two-room cabin has queen bed, a woodstove, and overlooks the pool area. 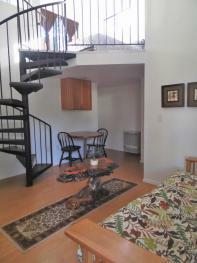 Our most unique unit, a large open two-story room. 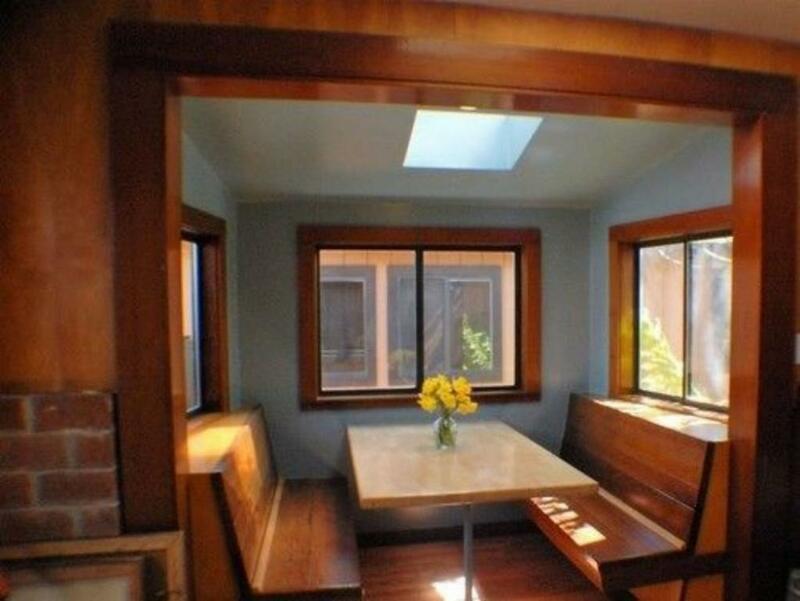 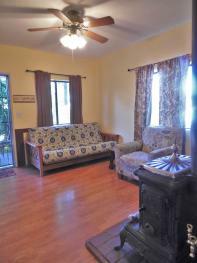 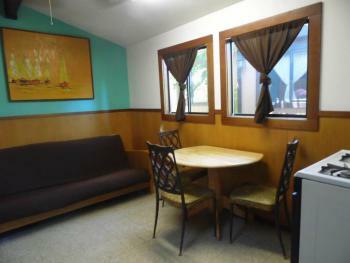 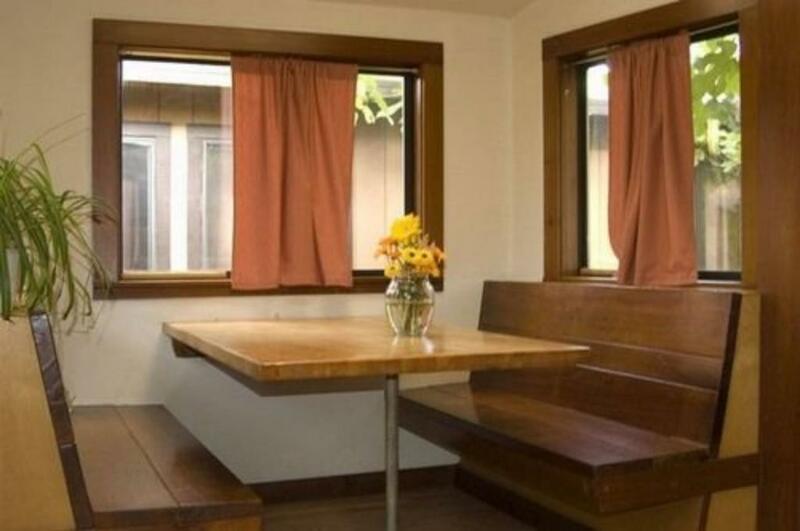 Walk into the sitting-room area, with a double futon couch and a kitchenette. 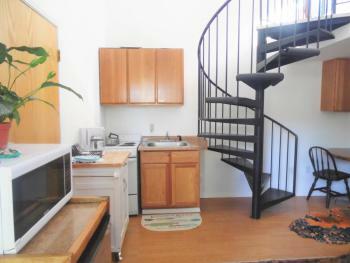 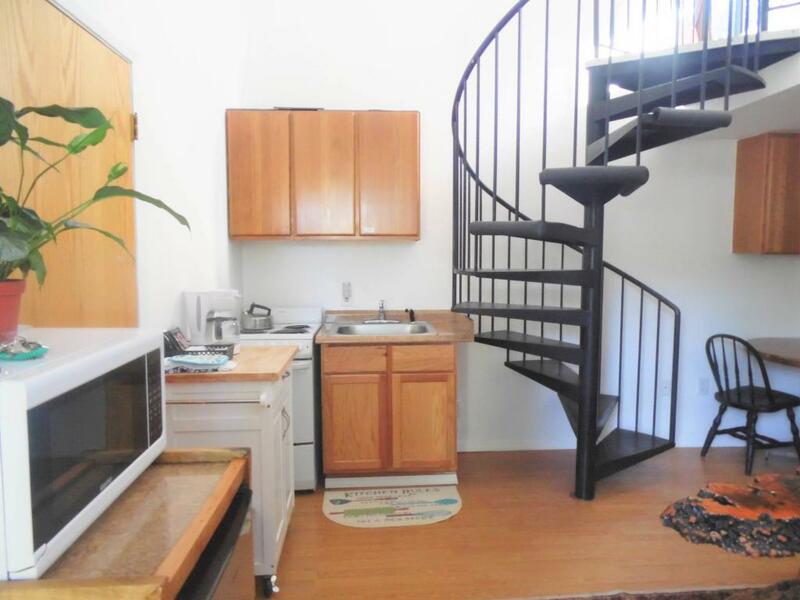 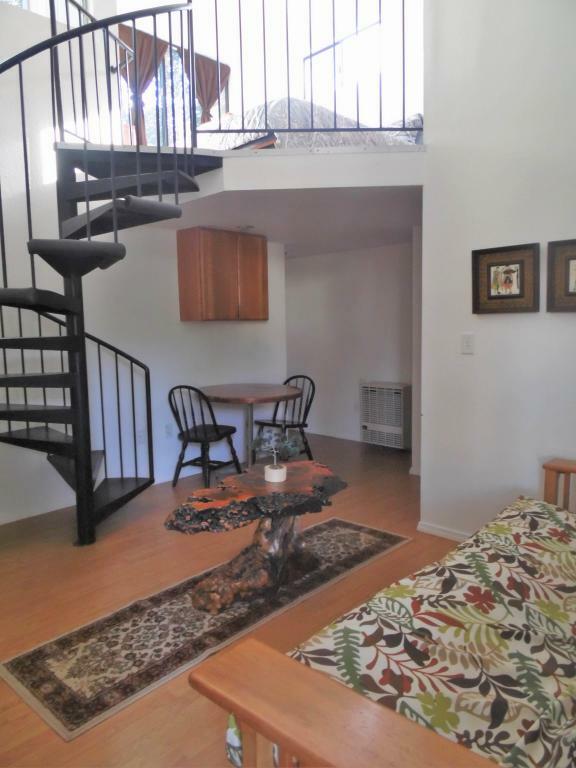 Up a spiral staircase to the loft is a queen bed, a fireplace and a river view. A great place for a family vacation, a fishing trip, a romantic weekend getaway, an escape from the City with friends, a wedding or a family reunion. 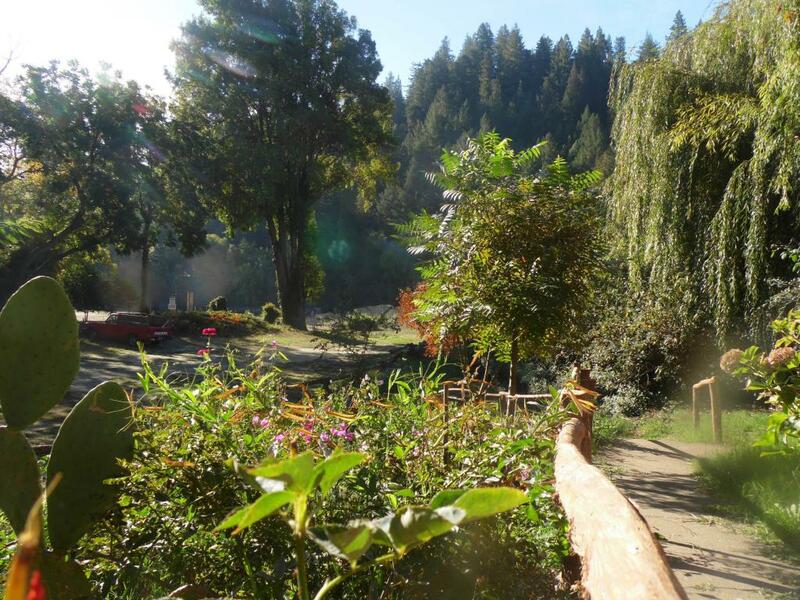 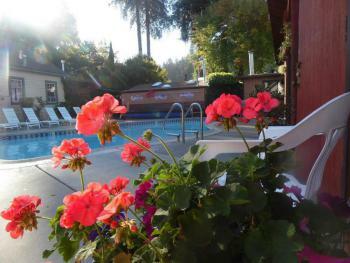 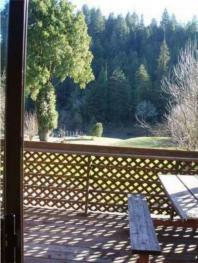 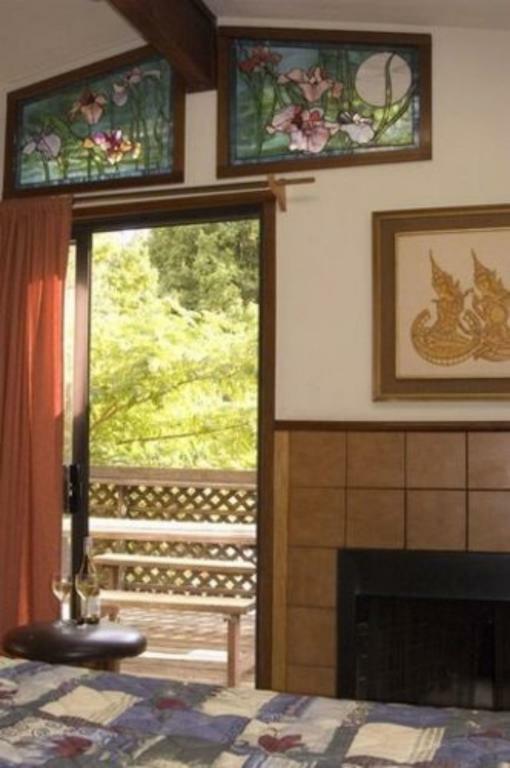 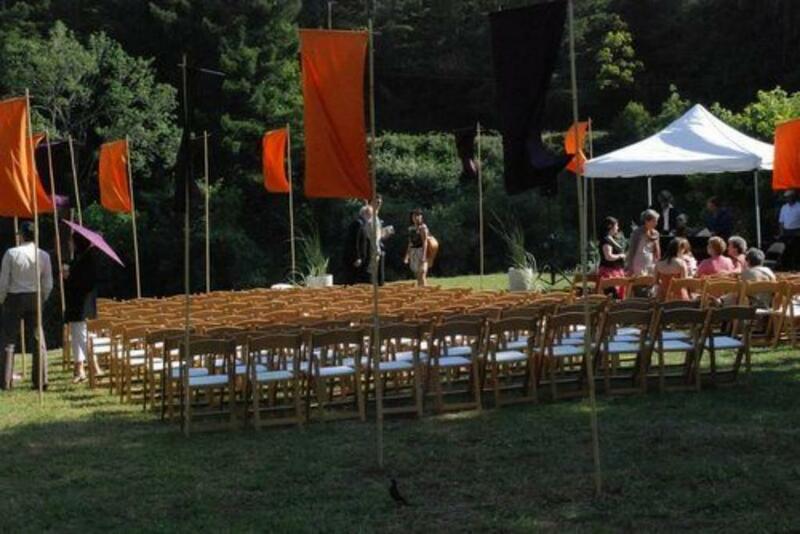 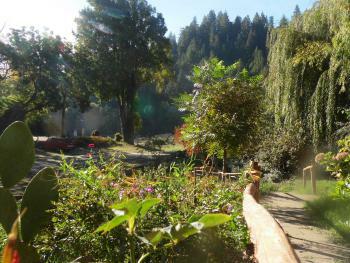 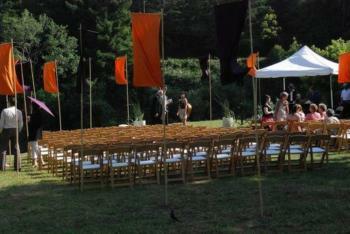 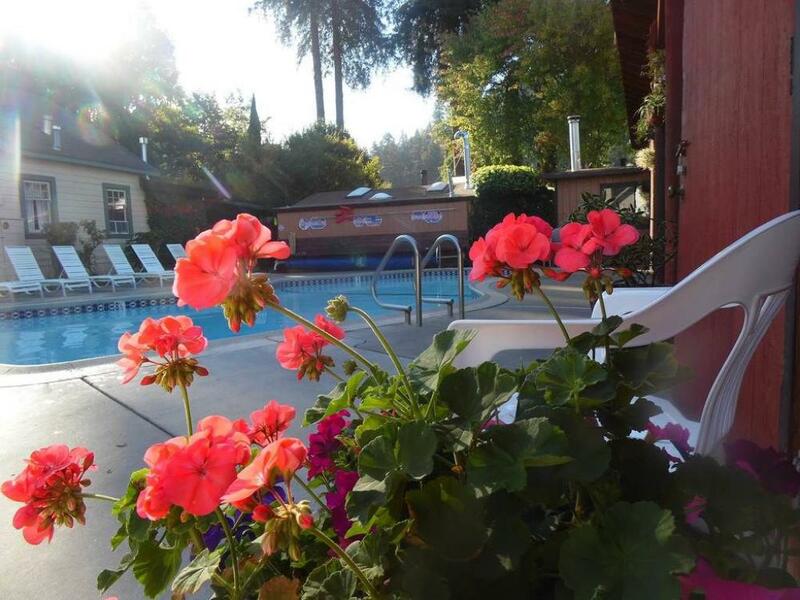 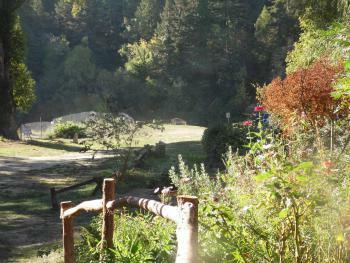 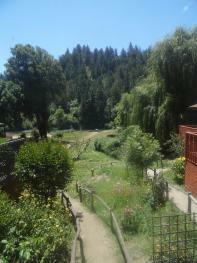 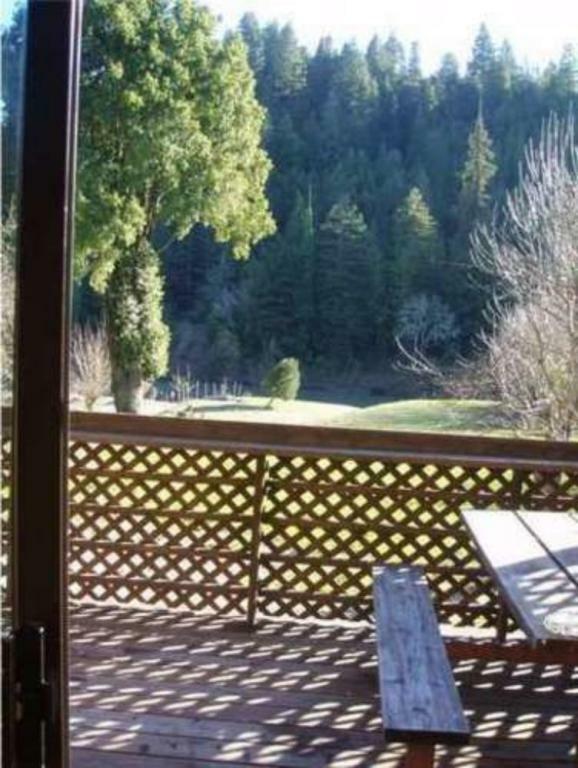 Tucked behind a 140-year-old house in the heart of Guerneville, Riverlane Resort is a hidden Russian River gem. 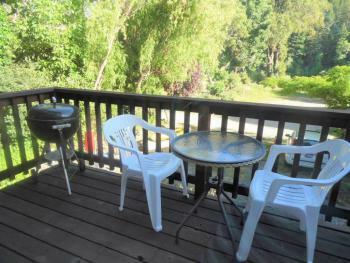 Just steps from downtown shopping, restaurants, art galleries, and bars, our 12 unique rustic cabins all feature private decks (some with river views) with their own BBQ. 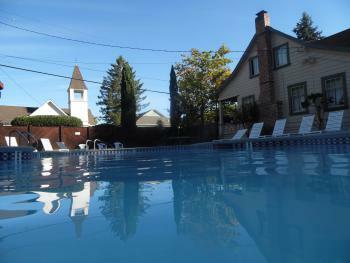 We have a seasonal pool OPEN MAY 1 THRU OCTOBER 15 and year-round hot tub. 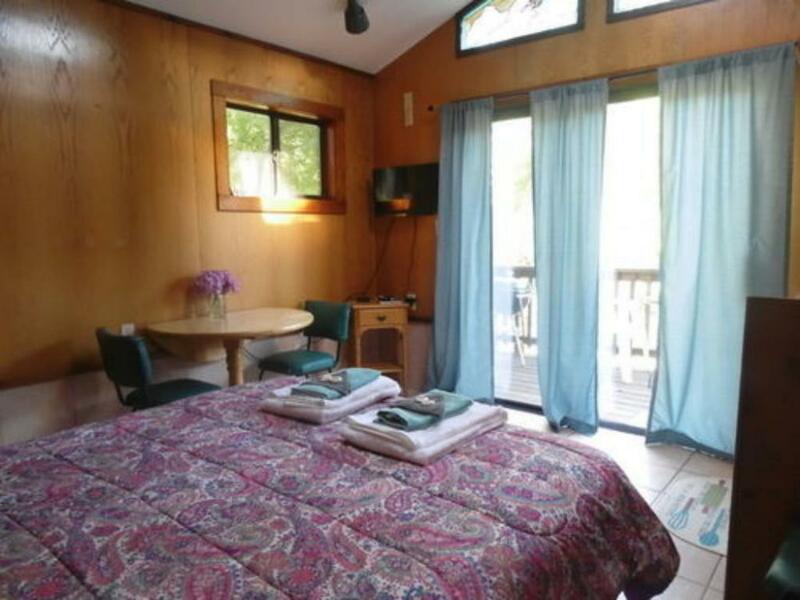 Our accommodations include standard one bedroom and studio cabins with a couple of cabins offering additional accommodation for larger groups and families. 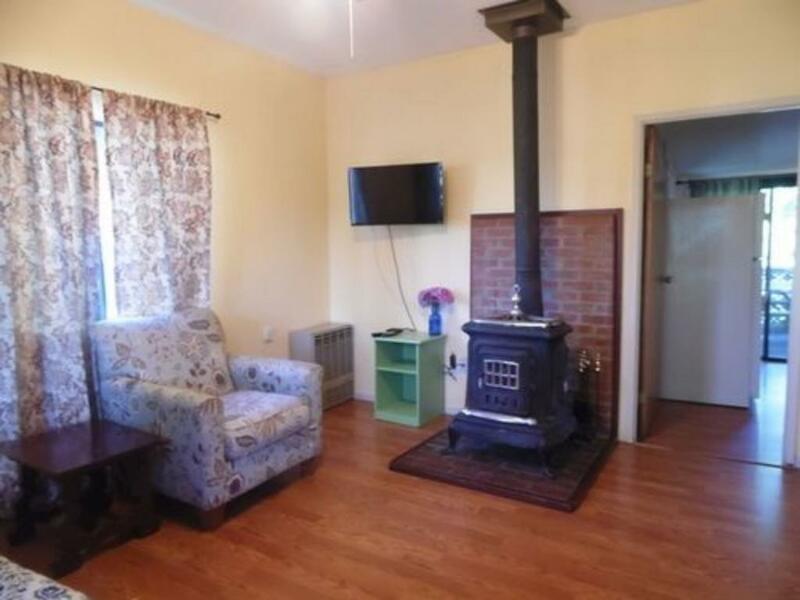 Most cabins have either a wood burning fireplace or a wood stove for those chilly autumn nights, a kitchenette, ensuite bathroom, and cable television.